New federal rules for operating drones will make it a lot simpler for farmers to include them in their operations, says the president of a Winnipeg-based company that trains drone operators. Matthew Johnson, president and CEO of M3 Aerial Productions, said the move is a necessary one. The most important change in the recently announced new rules is a significant relaxation of red tape and documentation. “As long as they are not in controlled airspace, and are at least three nautical miles from any aerodrome, they will likely be able to operate drones on their farms with much less in terms of paperwork required,” he said. His company is about to release a simplified knowledge course for agricultural operators who would fall into the basic operator category, which will provide farmers with the knowledge required to pass the basic exam, as well as a breakdown of how to actually use the equipment to collect the data, process the data, and interpret the data. “We were waiting for the updated regulations to roll out the program so this was all good news,” Johnson said. The rules are intended to protect Canadian airports and airspace from drones and to ensure their pilots aren’t drunk or high on drugs, said Transport Minister Marc Garneau. Drones have the potential to improve lives but can also present security problems. “We’re also resolved to encourage and support the possibilities of innovation and economic growth that drones represent,” Garneau said while announcing the new rules. The new regulations will apply to all drones between 250 grams and 25 kilograms. Drones weighing over 25 kilograms will need special permission from Transport Canada. While drones weighing under 250 grams don’t fall under the regulations, they still have to follow the rules to ensure they aren’t a danger to people or aircraft. The changes are scheduled to go into effect June 1. The government introduced interim rules in 2017 to govern drones while it worked on the final regulations. The overriding theme in the new regulations is the need to prohibit the operation of drones “in such a reckless or negligent manner as to endanger or be likely to endanger aviation safety or the safety of any person,” Garneau said. Individuals who break the rules could face fines of up to $3,000. Corporations can be fined up to $25,000. Someone who deliberately disrupts traffic at an airport could even face jail time. Registered owners of drones must be at least 14 years old and a citizen or permanent resident of Canada. Corporations and federal, municipal or provincial governments can also own drones. In addition to avoiding airports or controlled airspace, drone operators must give way to aircraft, airships, gliders and balloons. With the exception of police, rescue and firefighting operations, nobody will be allowed to fly a drone over or within a security perimeter set up in response to an emergency. Drones can’t be operated when weather conditions prevent seeing it at all times, or when frost, ice or snow are stuck to it. Lights are required for nighttime operations. 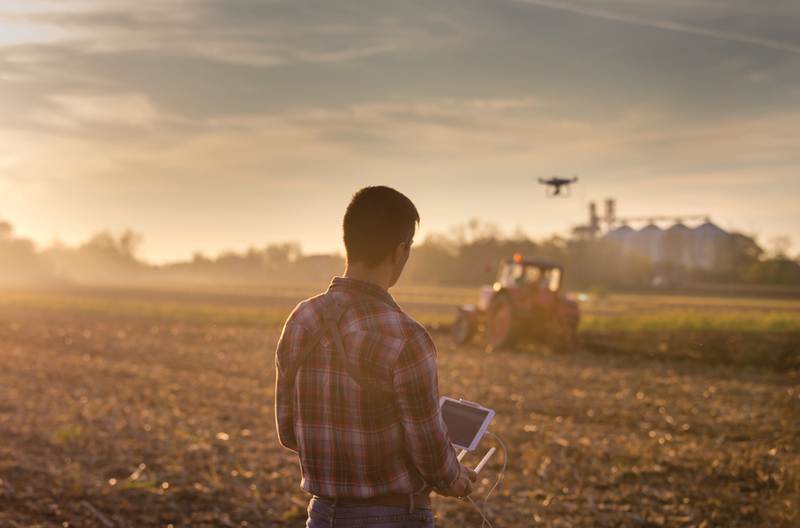 Is a drone right for your farm?